Recently the automobile industry saw a surge in crossover cars. As the word hints, crossovers are cars which have features from both- SUV and Hatchback segments. Currently, major manufacturers like Ford, Hyundai, Maruti, Fiat, etc are competing with each other to provide the best crossover in India. One of the most popular crossovers in the country – Brezza starts at Rs. 8 lakh. It competes for the top spot with Ford EcoSport & Hyundai Creta. The approximate cost of insuring this car is Rs. 30,000. Breeza is being praised for its sporty look and power. This highly popular crossover from Hyundai starts at Rs. 9 lakh. The 2018 facelift of Creta sports a bigger and shinier grille. The car has aesthetically improved as compared to last year but doesn’t have any technical changes. The cost of insuring a Hyundai Creta is approximately Rs. 40,000. Hyundai i20 Active competes head-on with the Maruti Suzuki S-Cross. It starts at Rs. 7 lakh and has extremely sporty aesthetics. The cost of insuring the Hyundai i20 Active is approximately Rs. 25,000. Starting at Rs 8.6 lakh, Maruti Suzuki S-Cross comes in four variants. The crossover has an engine of 1248 cubic capacity. The approximate cost of insuring this model is Rs. 30,000. Critics initially called it a “large hatchback,” but Maruti wiped this off by introducing a facelift of the S-Cross in 2017. This is an inexpensive choice for owning a crossover. Ford Freestyle begins at Rs. 5.9 lakh. This hatchback-SUV crossover can be compared with Maruti Suzuki Ignis. The cost of insuring a Ford Freestyle is around Rs. 20,000. Toyota Etios Cross comes with a 1496 cc engine. The ex-showroom price starts at Rs. 7 lakh. This is a feature-rich crossover with a fuel tank capacity of 45 liters. Insurance for the Toyota Etios Cross costs around Rs. 30,000. It claims a mileage of 23.5 kmph for its 1.5-litre diesel variant. 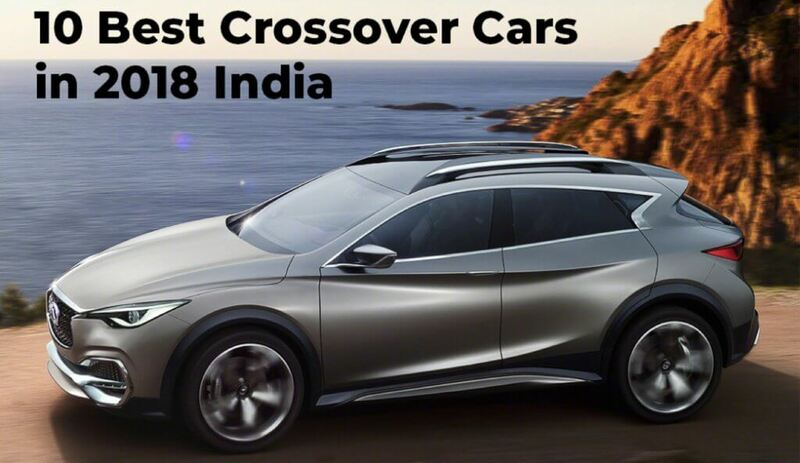 This is one of the very first popular crossovers introduced in India. The car launched in 2012 to compete with Fiat Palio Weekend Adventure and Volkswagen CrossFox. The approximate cost of Insuring a Ford EcoSport is Rs. 25,000. First introduced in the Auto Expo 2016, this crossover can go from 0 to 100 kmph in around 10 seconds. It competes with the Volkswagen Polo GT TSI. One can get this car insured at approximately Rs. 35,000. This crossover from Volvo is the most expensive car on this list. It starts at Rs. 30 Lakh and its approximate cost of insurance is Rs. 1.30 lakh. This Cross Country vehicle is based on Volvo’s V40 family car hatchback. Experts believe that the price of the Volvo V40 Cross Country is unreasonably high as compared to its competitors i.e, BMW, Mercedes and Audi.